If you want to see a beautiful movie go see "The Jungle Book". It's gorgeous! You can take your kids or just go yourself. If you are a fan of the 1967 animated film don't worry. They have preserved the music and the personalities. Neel Sethi is Mowgli. He really is the only human in the movie and does a heck of a job. Bill Murray is the bear Baloo. Ben Kingsley is the panther Bagheera. Idris Elba is the evil tiger Shere Khan. Scarlet Johannson is Kaa the snake and even sings. Lupita Nyong'o is Mowgli's mother Raksha the wolf. Christopher Walken is the orangutan, King Louie. The director is Jon Favreau. He directed "Iron Man 1 & 2" and "Elf". He had a nice touch. 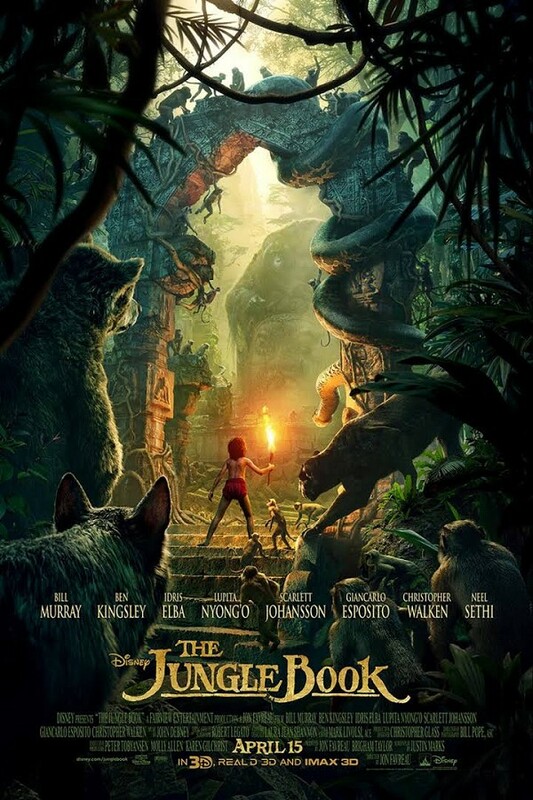 The story is about a very young boy who is raised by wolves after he is abandoned in the jungle. Bagheera becomes his teacher. The only real difference I saw between this and the 1967 version is that King Louie is sinister and definitely doesn't have Mowgli's best interest at heart. It is such a good movie. I would like to own it. The music soundtrack is beautiful. Please go. Remember it's a movie and not real so humans and animals can really talk to each other.